The emerging attention on the responsible use of pharmaceutical chemicals is the focus of our new Janssen.com series on green chemistry. Below, you can learn about green chemistry and Janssen’s longtime commitment to applying its principles to ensure safe and sustainable practices, and the best outcomes for our patients and our world. Check back for updates on how Janssen is bringing these vital principles to life every day. At Janssen, our purpose is to help people lead healthier, happier lives. We believe this includes a healthier world for everyone to enjoy. Through our innovation-driven approach, we’re creating effective and differentiated medicines while also developing ways to integrate sustainability into every stage of our processes and product lifecycle. We’re proud that we’re achieving significant reductions in environmental impacts by applying innovative green chemistry and technology practices. But what exactly is green chemistry? Perhaps the best people to answer that question are Paul Anastas, Director of Yale University's Center for Green Chemistry and Green Engineering, who is widely hailed as the “Father of Green Chemistry,” and Dr. John C. Warner, President, Chief Technology Officer, and Chairman of the Board of the Warner Babcock Institute for Green Chemistry. They also developed the Twelve Principles of Green Chemistry, since adopted by the American Chemical Society (ACS), as a guide to eliminating the creation of toxic wastes from chemicals, processes and products. The principles range from common sense, such as focusing on preventing waste rather than treating it or cleaning it up, to progressive planning around processes including using more sustainable or renewable raw materials. At Janssen, we are embracing these principles, not only in our own laboratories but also through industry leadership. We evaluate our products’ environmental footprint, including the energy, materials and water used during the product lifecycle. We challenge our product development teams to explore new approaches such as using renewable raw materials, reducing complexity in drug synthesis and using more environmentally friendly chemicals and processes to do so. Most of all, we focus on designing and manufacturing the most sustainable products and health solutions to create a wholesome future for us all. We also participate in two major green chemistry forums – the ACS Green Chemistry Pharmaceutical Industry Roundtable (GCPIR) and the European CHEM21 program. Both share best practices and direct academic research to develop more efficient, greener ways of manufacturing pharmaceutical active ingredients. For example, through CHEM21, Janssen – along with other pharmaceutical companies and together with 13 university research groups and subject matter experts – is developing sustainable pharmaceutical manufacturing practices that minimize our collective environmental impact. Our goal is to turn CHEM21 into a European research hub and center of excellence for information and training on best practices in green chemistry. For us, it comes down to making smart choices. Since 1996, the United States has awarded its annual Presidential Green Chemistry Challenge Award to recognize scholars and corporations that use chemical technologies incorporating green chemistry principles into chemical design, manufacture and use. 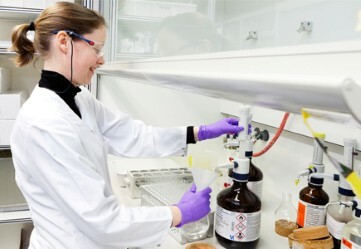 In Europe, many country-level sustainable chemistry award programs have been developed as well. On the regulatory front, the United States government has endorsed green chemistry in support of public health. California, often a pioneer in such legislation, has restricted more than 160 chemicals common in household products. In Europe, the REACH chemical registration program is restricting or banning more than 1,000 chemicals in commerce, with more to come as additional testing is conducted. Prominent green chemistry groups, journals and conferences include The Mediterranean Countries Network on Green Chemistry (MEGREC), the United Kingdom’s Royal Society of Chemistry's journal Green Chemistry, Japan’s Green and Sustainable Chemistry Network and the Centre of Green Chemistry of Monash University in Australia. 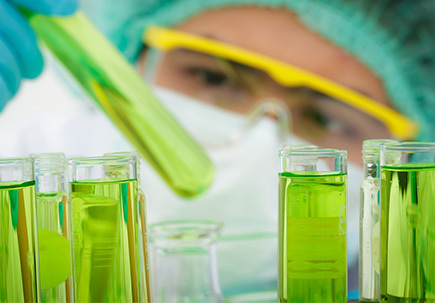 These initiatives all highlight the emerging importance of green chemistry. We’re proud to be taking an active role in advancing green chemistry, and we look forward to sharing more news on our efforts in future installments on Janssen.com.